A statement of elegance. This Art Deco inspired ring is set with a Lassaire rose-cut simulated diamond in the center along with round Lassaire simulated diamonds on the side in sterling silver bonded with platinum. 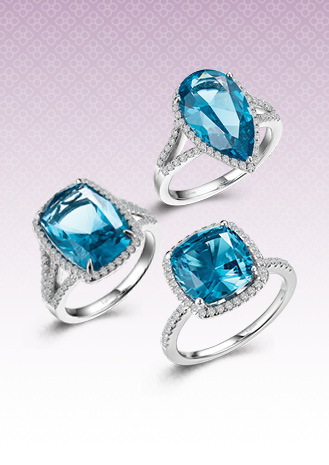 The center stone is surrounded by channel-set baguette Lassaire lab-grown sapphires. 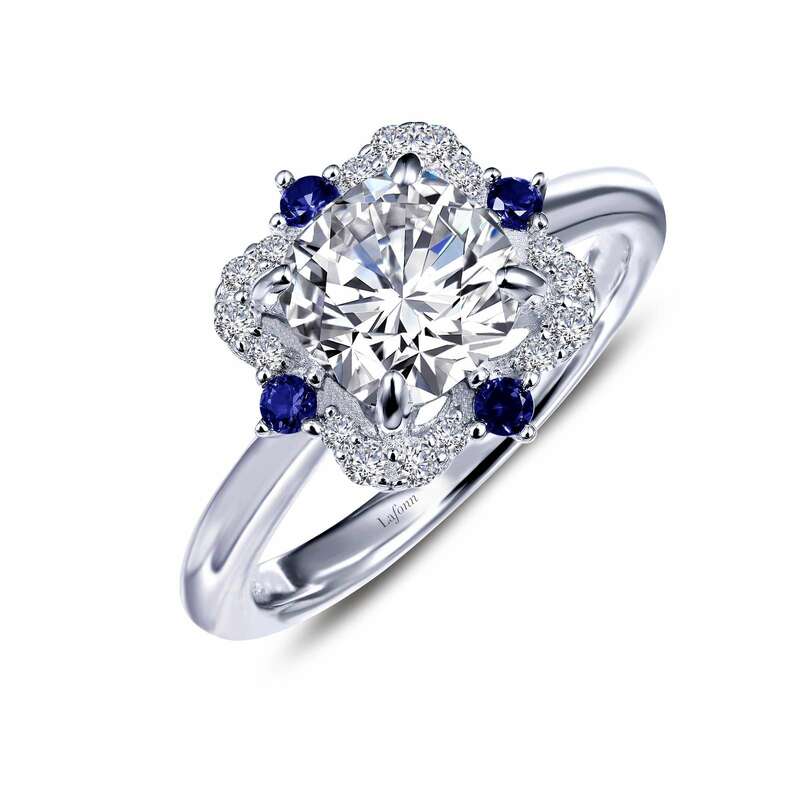 The exquisite milgrain detail makes this award-winning beauty a breathtaking piece.